From the same owners as Social Street S2, comes the popular and vibrant S2 on Flinders. 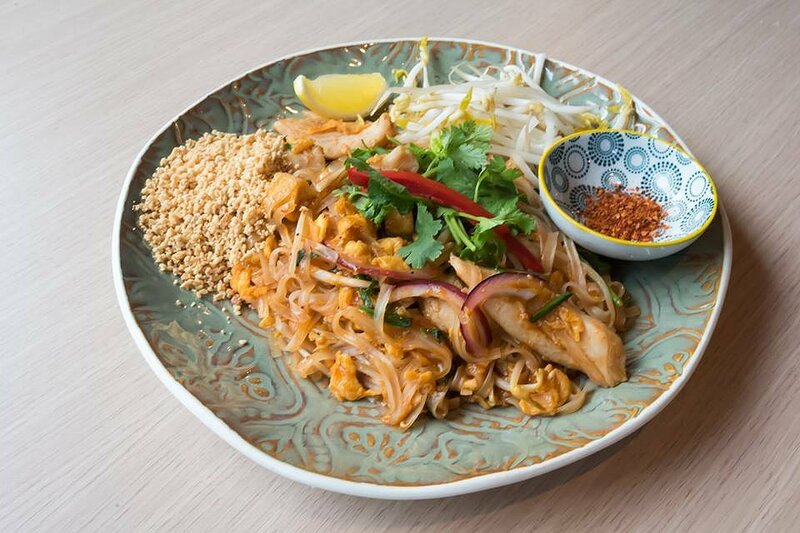 Situated on the ground floor of the Soho Hotel Adelaide, this modern Thai restaurant is conveniently located between the cosmopolitan Rundle Street and Hutt Street precincts. Like their sister restaurant, they offer all your traditional Thai favourites, but in a more intimate setting. I recently dined here as part of the UberEats Insiders Group dinner, and was able to try some of the popular dishes first hand. We started off with the Vegetarian Spring Rolls. 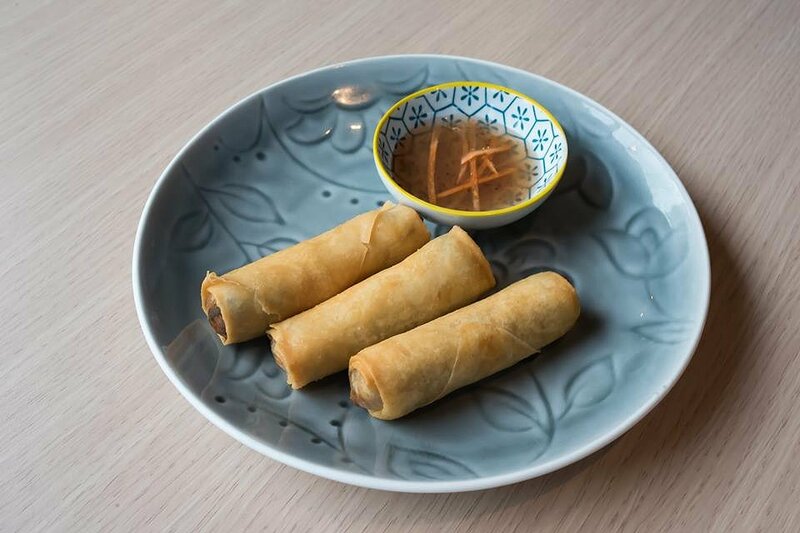 Coming in a serve of three, these spring rolls were fried to a beautiful golden brown. The outer layer was nice and crunchy, while the vegetable filling was firm but soft. They tasted great by themselves but even better with the accompanying sweet plum dipping sauce. Next was the Thai Tuna Salad. 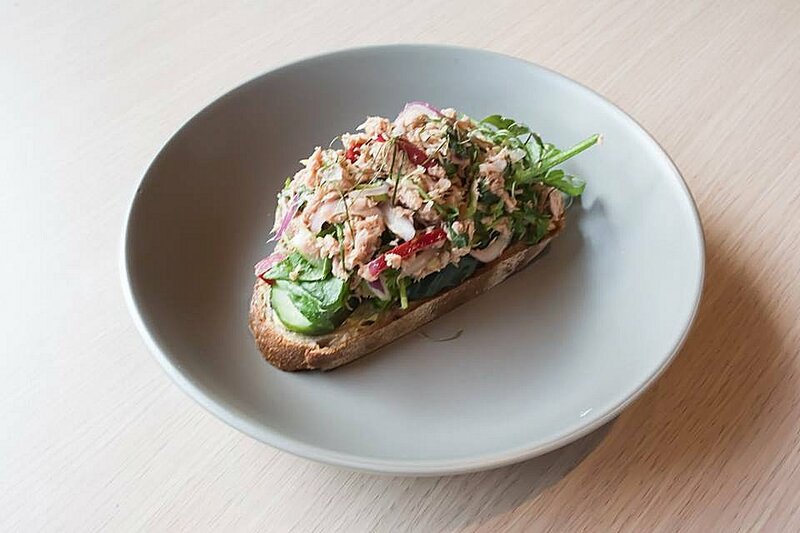 Quite often tuna can be pungent and give off that fishy smell, but not in this dish. The tuna is cooked and then mixed with red onion, tomato, spring onion, Chinese celery, coriander and lemongrass. It’s almost like an Asian salsa that is very light and refreshing. The Grilled Baby Squid was one of my favourites. Each morsel was perfectly cooked, and the squid simply melted in your mouth. 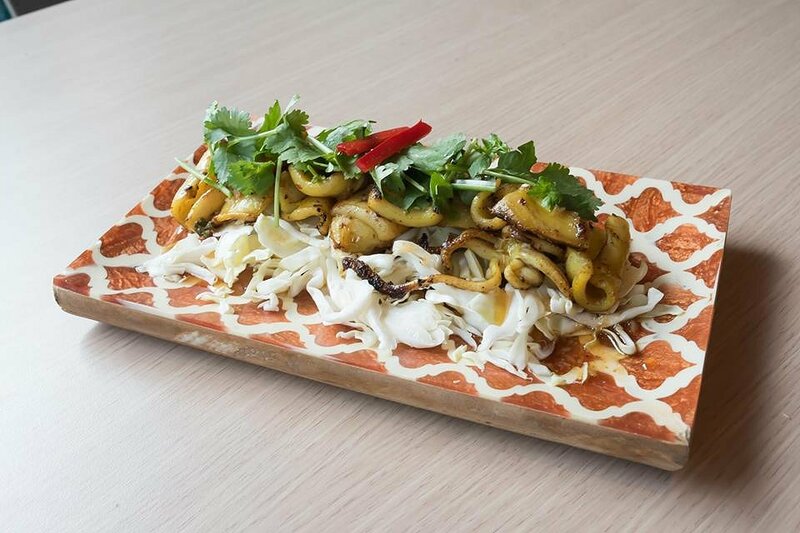 The squid sat on top of a salad bed made from red onion, coriander and fresh cabbage. The salad added a nice crunchy texture which was harmonised by the refreshing zap sauce. A classic is the Green Curry Chicken. The chicken was juicy and succulent, and had absorbed the flavours of the curry sauce. The vegetable component consisted of bamboo shoots, carrot, Thai basil and assorted seasonal vegetables. 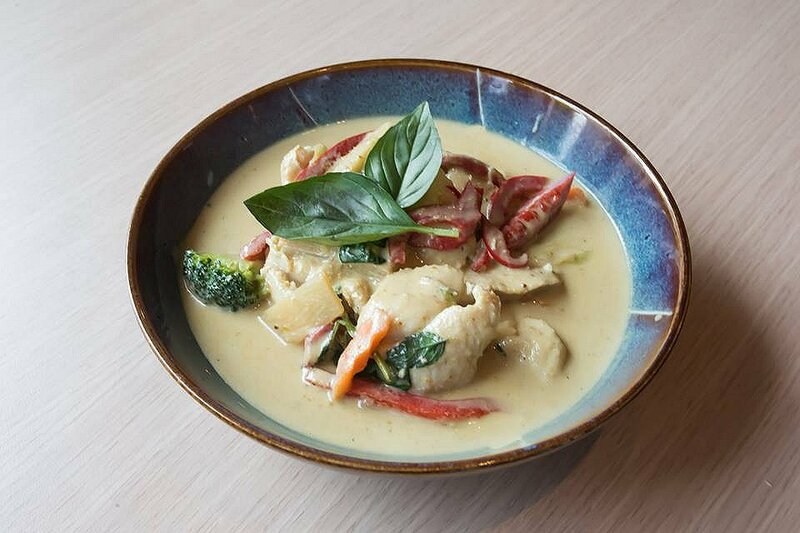 A classic Thai curry executed to perfection. We finished off with another classic; Chicken Pad Thai. Even before eating the dish, I liked how they separated the peanuts, chilli flakes and bean sprouts. Add as much or as little as you like, it’s your decision. The noodles were cooked to perfectly; nice individual strands that were chewy and not gluggy. The amount of chicken was generous and the flavours were just right. S2 on Flinders certainly gets our thumbs up. The dishes are beautifully presented and the portion sizes are generous. More importantly, they use quality ingredients and the dishes taste great. The service is excellent, and although this restaurant is a bit smaller than the other, I found it to be more cosier and intimate. With a regular flow of customers coming in and out, they’re certainly doing something right. S2 on Flinders is open from Monday to Friday from 12pm-2pm and Monday to Saturday from 6pm-9pm.